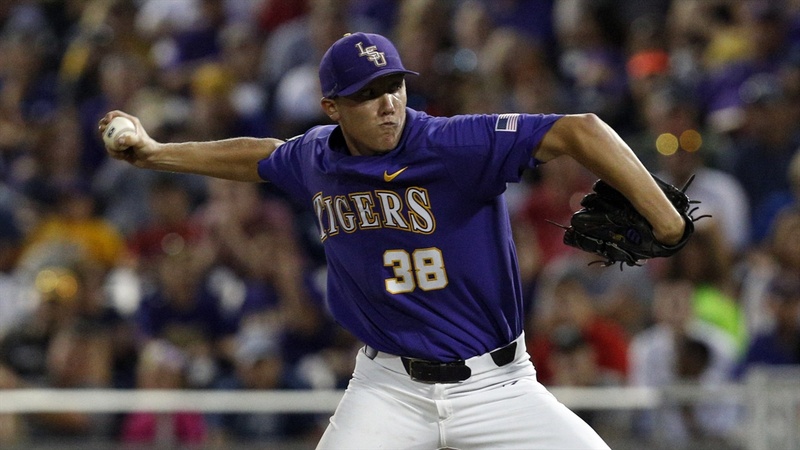 ATHENS, Ga. – LSU ace Zack Hess threw eight shutout innings and struck out a season-high nine batters to lead the No. 7 LSU baseball team to a 1-0 win against No. 5 Georgia Friday night in Foley Field. Hess put together a special performance to improve to 2-1 on the year. The right-hander stranded seven Bulldogs on the bases and faced 31 batters on 116 pitches. Devin Fontenot earned his first save of the year after firing the ninth inning. With the win, LSU improves to 17-5 on the season and 4-0 in SEC play while Georgia drops to 19-3 overall and 3-1 in conference. This is the best start in conference play that LSU has had since the Tigers went 4-0 in 1998. LSU has started conference play 4-0 nine times (1943, ’85, ’86, ’91, ’92, ’94, ’97, ’98). The Tigers’ lone run came in the top of the seventh inning. Right fielder Antoine Duplantis led off the top of the seventh inning with LSU’s second hit of the night, a double that one-hopped the wall in left-center field. The senior moved to third on a ground ball to second and tagged up on a sacrifice fly from left fielder Daniel Cabrera that was hit to shallow left field, pushing the only run of the game across home plate to secure the LSU win. Georgia starter Emerson Hancock suffered his first loss of the season and dropped to 5-1 The right-hander fired eight innings and allowed one run on two hits, walked two and struck out four. Justin Glover entered in relief and gave up one hit and struck out one. The Bulldogs threatened with the tying run when shortstop Cam Shepard singled to right field to lead off the bottom of the eighth inning. He moved to second on a bunt, and tried to score on second baseman LJ Talley’s infield hit, which was knocked down by second baseman Hal Hughes. Tiger shortstop Josh Smith snagged the ball and fired to home where catcher Brock Mathis made the tag to stop the run from scoring and get LSU out of the inning unscathed. Game 2 of the series between the Tigers and Bulldogs is slated for noon CT Saturday. The game will be aired on the SEC Network. It will be broadcast locally on 100.7 FM in Baton Rouge, and fans also can listen free online at LSUsports.net/live.